One of the flagship products of the DW name, the 5000 series is an industry standard for pedals and hardware. 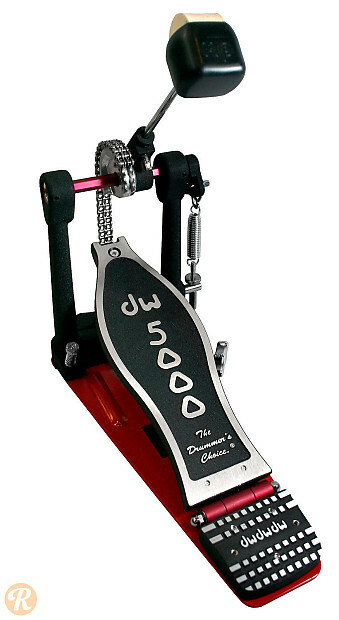 DW 5000 pedals feature a medium weight, dual-bearing spring rockers, and tri-pivot toe clamps. The Turbo (TD4) drive system features an even balance between footboard and sprocket for consistent power.